5 inch big speaker and two models of distortion and clean. It gives you different experience. Three kinds of effect of gain, bass, and treble. And it is not only for guitar but also supports any Mp3 AUX input. Two ways of power supply. 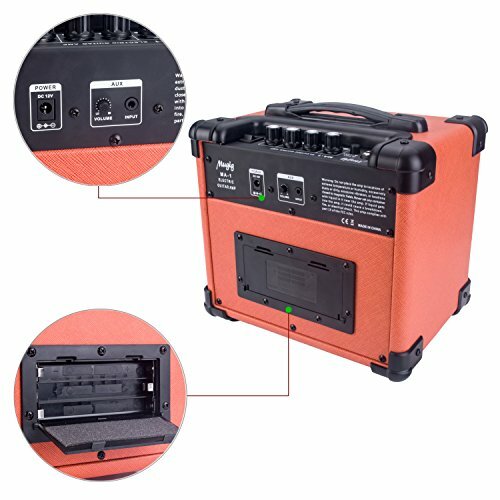 It can be operated by battery or adapter. 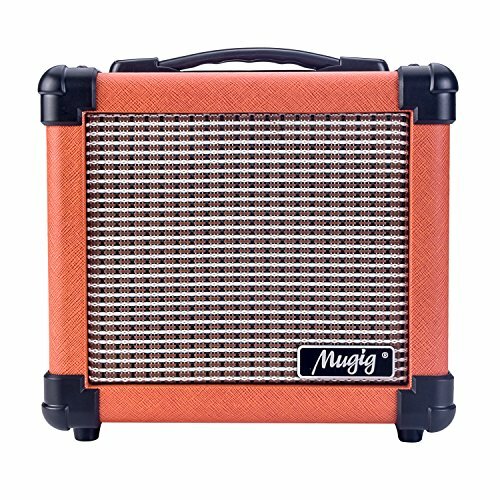 Mugig Guitar Amplifier is committed to giving every music lover a different experience with the 5 inch big speaker and high quality of sound. It has two models of distortion and clean, and three kinds of effect of gain, bass, and treble. 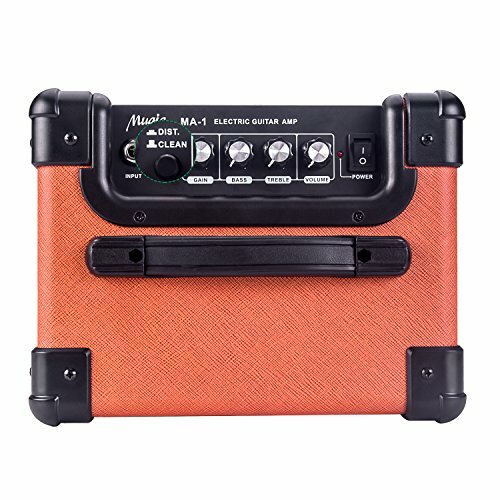 And it is not only for guitar but also supports any Mp3 AUX input. 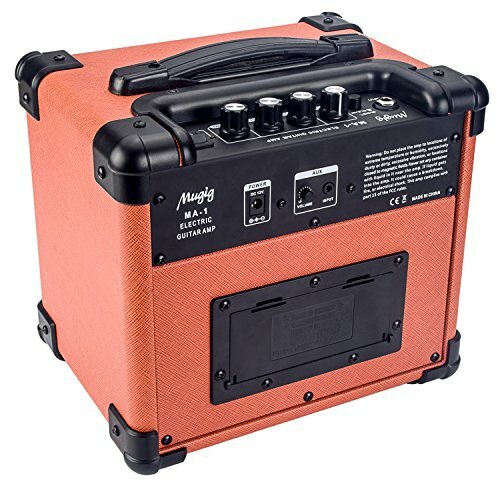 Moreover, this amplifier could be operated by battery or adapter for your convenience and different occasions, like outdoor and indoor playing. 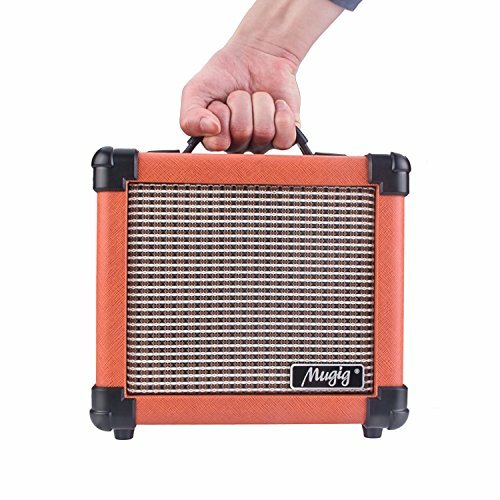 And its nylon handle design makes this amplifier portable to carry. 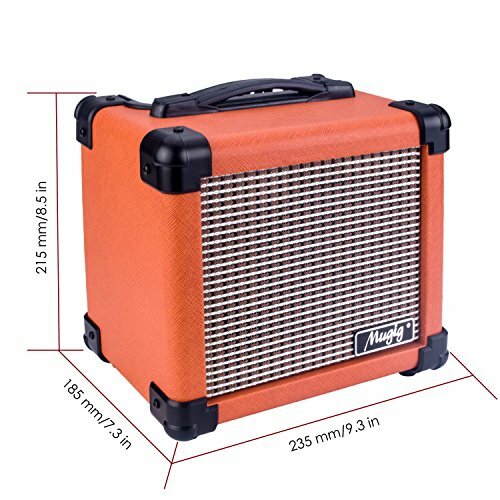 With wrapping the edges by hard material, the amplifier could be protected from damage caused by collision or falling. Firm handle design. The handle is made of nylon material, making it portable to carry.